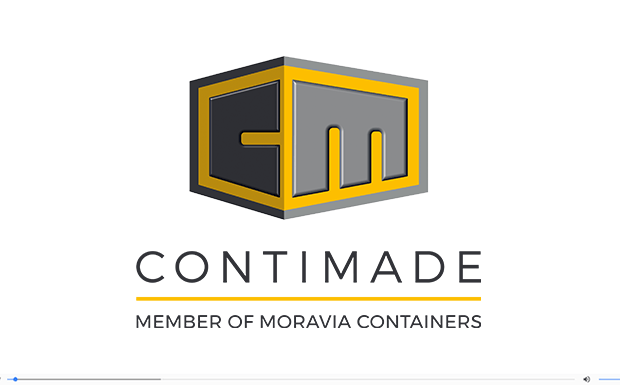 The company ranks among the leading Czech producers of modular systems and special containers which are characterized by a high quality workmanship. MORE THAN 25 YEARS IN BUSINESS. We have been producing containers and developing modular solutions since 1993. Currently, our products are used throughout Europe, e.g. in Germany, Iceland, Belgium, Switzerland, Lithuania, the Netherlands, Scandinavia, the Czech Republic and many other countries. The CONTIMADE modular system enables perfect variability, providing an alternative to the solution of construction projects. The CONTIMADE brand is ready to open up a new dimension of modular architecture and design. Thanks to our international activities and responding to the requirements of individual markets, we have decided on a series of significant investments to modernize and develop our company in 2016. Our major investment was in the construction of a modern production and assembly hall which has enabled us not only to increase production, but also to work more efficiently by using new technologies. The mission of CONTIMADE brand is to give your life space through a high-quality and reliable modular system.